The Westminster Charity for Therapy Dogs! Thanks to Barbara Babikian of Angel on a Leash for joining us and discussing the great work they are doing in hospitals to help put a smile on the faces of those suffering from medical issues of all types. 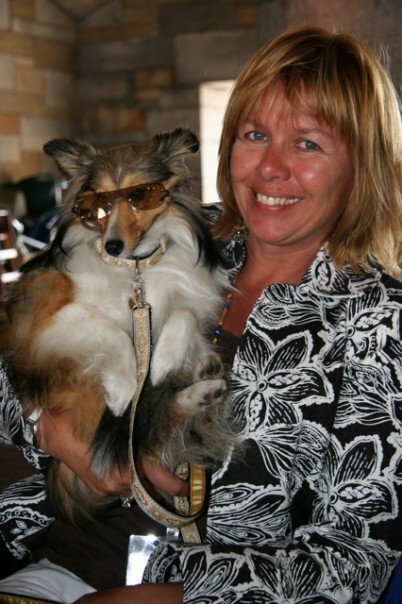 Barbara is the Coordinator of the animal assisted Therapy program for Angel on a Leash for New Alternatives for Children.Â Barbara and her Sheltie Lilli have been working together for years and she tells us how we can do it also! Like helping people? Love your dog too? This just might be something you are interested in! She also mentioned looking into the Delta Society. Animal Ark is saving thousands of deserving pet's lives! Mike Fry Executive Director of Animal ArkÂ which is the largest No-Kill shelter in Minnesota joins us to talk about their organization. Mike is also a radio show co-host on Animal Wise Radio! The show is nationally syndicated soÂ check out the web site for availability and they also podcast so you can get more great information on the No-Kill initiative! I think what they are doing is FANTASTIC! Don’t forget toÂ check outÂ some of the animals they have for adoption. Dr. Nancy Kay DVM, recipient of the American Animal Hospital Association 2009 Animal Welfare and Humane Ethics Award and Â author of â€œSpeaking for Spot:Be the Advocate Your Dog Needs to Live a Happy, Healthy, Longer Lifeâ€ joins us for the Vet topic of the week. 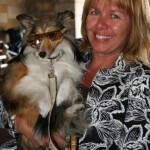 â€œMore bark for your buckâ€ – ways to save money on your petâ€™s healthcare. Great topic for these difficult economic times!Â Visit www.speakingforspot.com to find a comprehensive list of organizations that may be able to offer financial assistance for veterinary care, to join the Speaking for Spot mailing list, and to follow Dr. Kayâ€™s blog which assists pet lovers with health-care decision making on many levels! We are trying to do what we can in this tough economy so we areÂ extending the free Shipping for My Buddy Butch until March 31stÂ at our site by entering the Code MD0908 at Mybuddybutch.comÂ Â Enter the code in the â€œCommentsâ€Â box! Or better yet use the Toll FREE number to order 800-247-6553!Â Read More Reviews of the Book HERE! You can also request an â€œAutographedâ€ copy! WINNER – MOMâ€™S CHOICE AWARD – ADULT NON-FICTION. USA BEST BOOKS AWARD FINALIST – USA BOOK NEWS!